Esprow ETP for OUCH delivers a toolset to automate testing of OUCH trading APIs. Its integrated environment allows management and customization of OUCH dictionaries, messages, and fields. 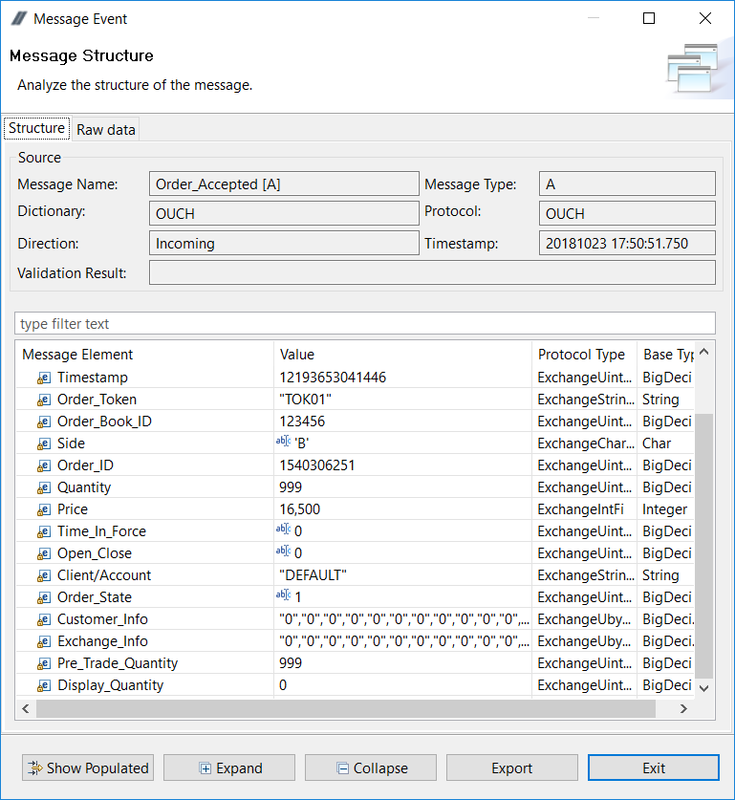 Its simple and intuitive UI enables users to quickly build test scripts to exercise the trading functionality provided through OUCH APIs, or to simulate server-side OUCH services. 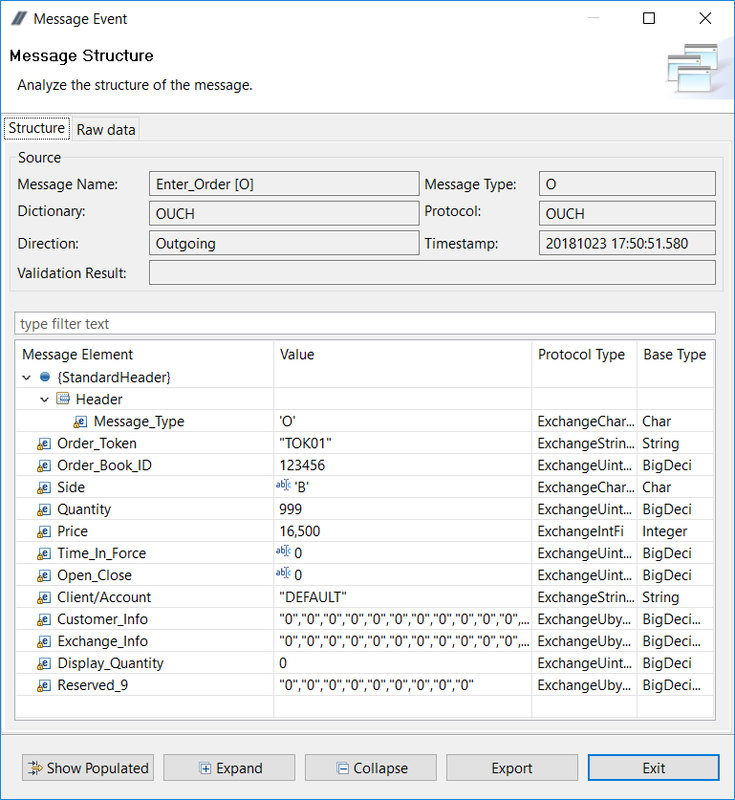 As with all protocol adapters in ETP Studio, OUCH messages can be delivered over a multitude of transports, including SoupBinTCP. For more information on ETP Studio for OUCH please contact Esprow Sales. ETP Studio provides support for ITCH and GLIPSE market-data protocols, including custom fields and message dictionaries.